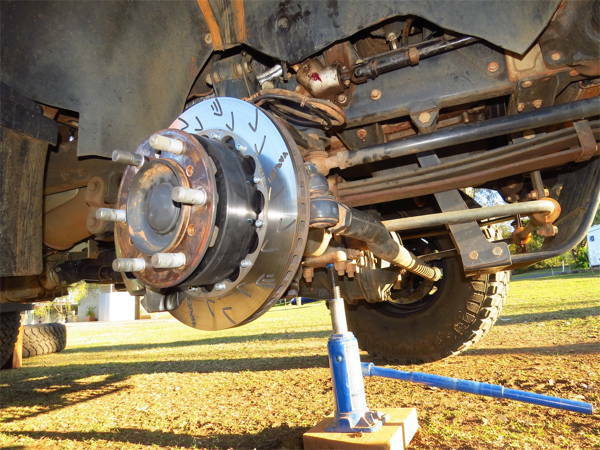 Iveco Daily 4×4 front brake upgrade Now available Direct from the Queensland Based originators of the kit. Visit : ” Brake Kits ” in menu above .. or click here for Pricing ! 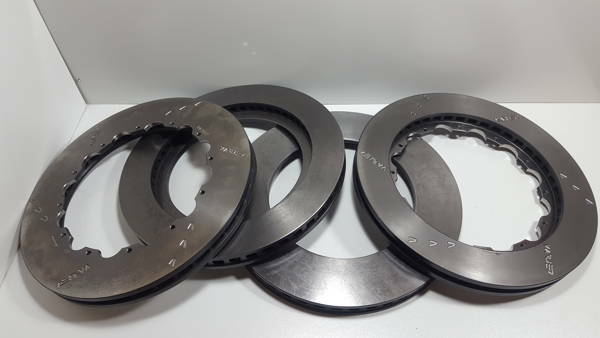 VARI Race Brakes Australia was the First Company world wide to bring this type of Ventilated Rotor Upgrade Kit to market , originally through our Brisbane based Distributor and Now Directly to End users ourselves. We have however always prided ourselves in ” making what our customers ask for “ , and are happy to have our customers now contact us directly to let us know their thoughts and suggestions. As the original manufacturer of the product from the start we are happy to bring further improvements to the original design which we are proud to say was a collaborative effort between our team at the time and a Passionate Group of Iveco owners who approached us to solve what they felt was an unacceptable downfall in a Product they otherwise were thrilled to own. This Kit is based on OUR IMPROVED VARI Race Brakes Australia’s 2 piece rotor system. 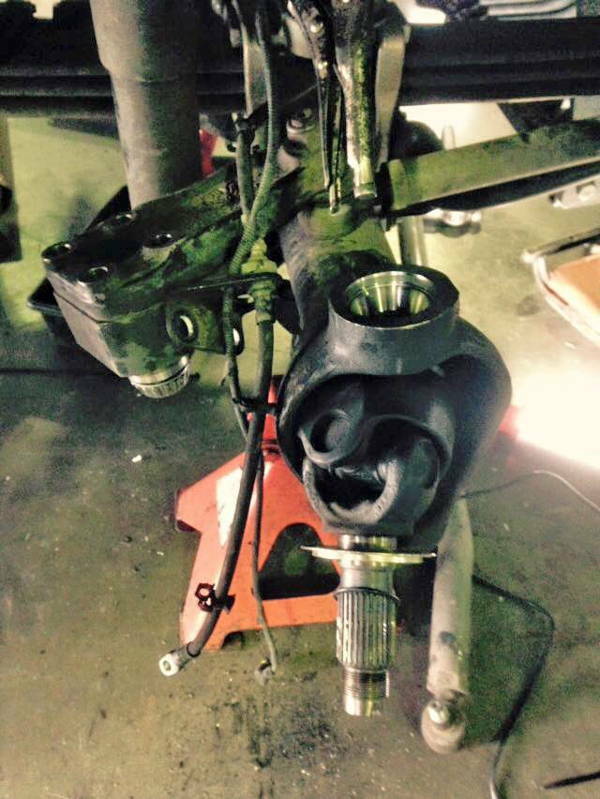 It makes use of the original OEM Iveco Daily 4×4 Caliper and relocates it with our VR 196 110 Super Rigid Bracket . 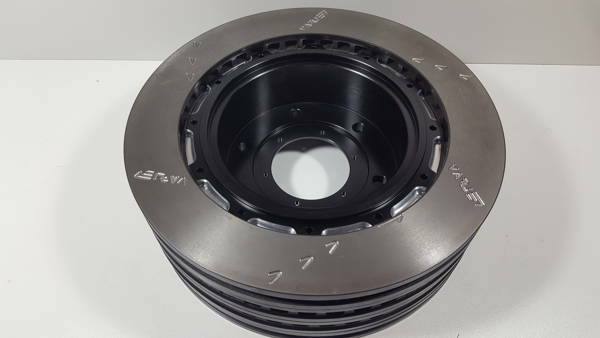 The 2 Piece Rotor is bolted to our Very own 100% Australian Designed and Manufactured Mounting Hub or ” Rotor Bell”. Our new Bell includes Improved Air Flow Features to further enhance the advantages of our original Vented Rotor Upgrade. Iveco Daily 4×4’s , were all delivered to the Australian Market with Solid unvented Rotors. So this kit is basically essential to bring these trucks up to scratch when it comes to stopping distance. So when its finally time for another rotor replacement. No worries pull into the driveway and do it your self. 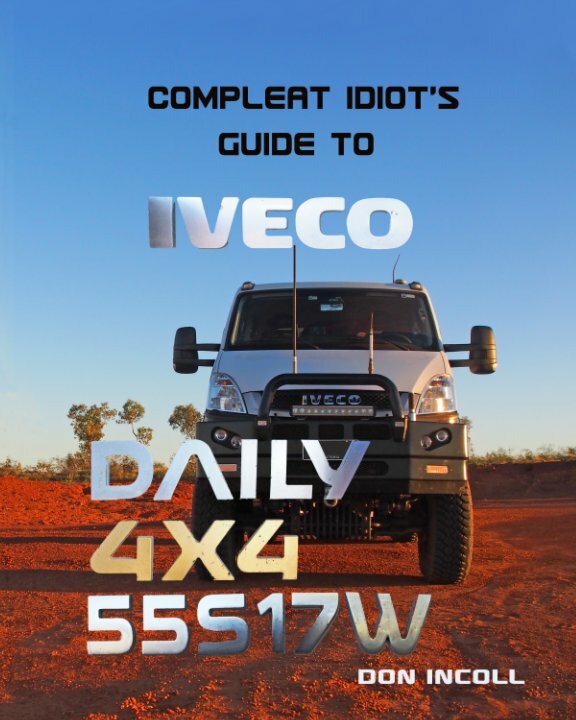 Its quick,easy,And a lot more cost effective than using the solid rotors fitted as original equipment for all Australian delivered Iveco Daily 4x4s. 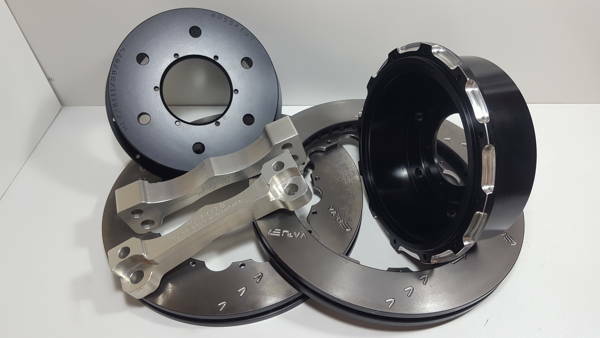 This brake kit fits inside aftermarket 17″rims as supplied by the likes of EarthCruiser (Australia) and TravelTrucks (Brisbane). If you are just a SUPER ENTHUSIASTIC type Driver or maybe you want to actually be able to stop from 80 or 100 KM/H in one of these Beauties the next time a Kangaroo jumps out at you. Well then, this kit is Made for you. This kit is our “Workshop / Mechanics appropriate kit ” ** which will allow your favorite Truck and 4×4 Mechanic to bring your sorely lacking Iveco Daily 4×4 55S17W front axle brake system to an outstanding level of performance which could save your life one day , and certainly bring the braking performance up to what should be the standard for such an otherwise exceptional piece of European Engineering. This pic shows both the improved ” low density slotting “ for less mud and debris retention. Also visible is the improved Bell upgrade to our original system,that allows for improved air flow through the disk. Note: These kits while being fully ” Bolt – On ” in design are best fitted by a fully equiped Machanical workshop , or at the very least by a highly machanicaly knowlagable vehicle owner. 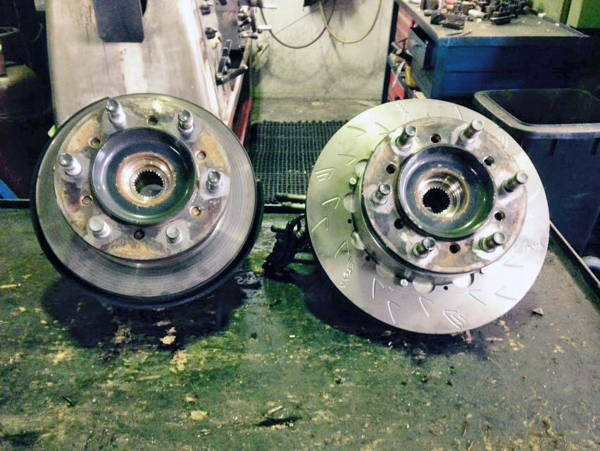 Some specialized heavy duty equipment is required for the removal of the original hub and rotor in order for our VARI Race Brakes Australia front rotor upgrade system to be fitted.